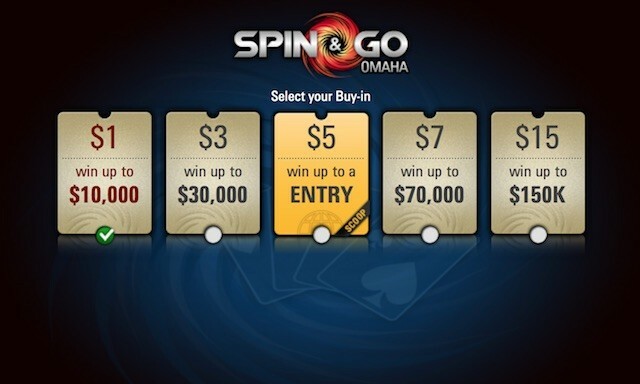 PokerStars, one of the original pioneers of the jackpot-style Sit & Go format, is adding a new way to play Spin & Go’s. Spin & Go Max will offer a variety of new elements but the eye-catching one is the chance for players to potentially win 10,000x their buy-in. The rest of the new features include a randomized number of players (3-8), three final prizes (of which the winner picks one blind) and the option to cash out before picking your prize. Spin & Go Max events are actually even more action-packed than normal Spin & Go’s with a fixed number of hands based on how many players are involved. Once the final hand has been played, everyone is all-in on every hand. Because of the limited number of hands players will have to employ a slightly different strategy when playing Spin & Go Max. Once a player outlasts all his/her competition in a Spin & Go Max they will then get the chance to roll the dice on three hidden prizes (which were shown at the beginning of the game). If the prizes are big enough players will also be given the option of cashing out, creating a risk/reward situation. Of course if anyone manages to hit that 10,000x multiplier than there’s a good chance they will pick one of the hidden prizes. Spin & Go Max will launch at the buy-in levels of $1, $3, $7 and $15 with at least one of the three random prizes being worth twice the buy-in. “Spin & Go Max is the next level of the Spin & Go format and delivers more excitement and a great immersive experience through new graphics and more chances for winning moments,” said Severin Rasset, Director Of Poker Innovation and Operations at PokerStars. Spin & Go Max is already live on .COM, .EU, .UK and .BE with other markets to follow shortly pending regulatory approval in those regions. 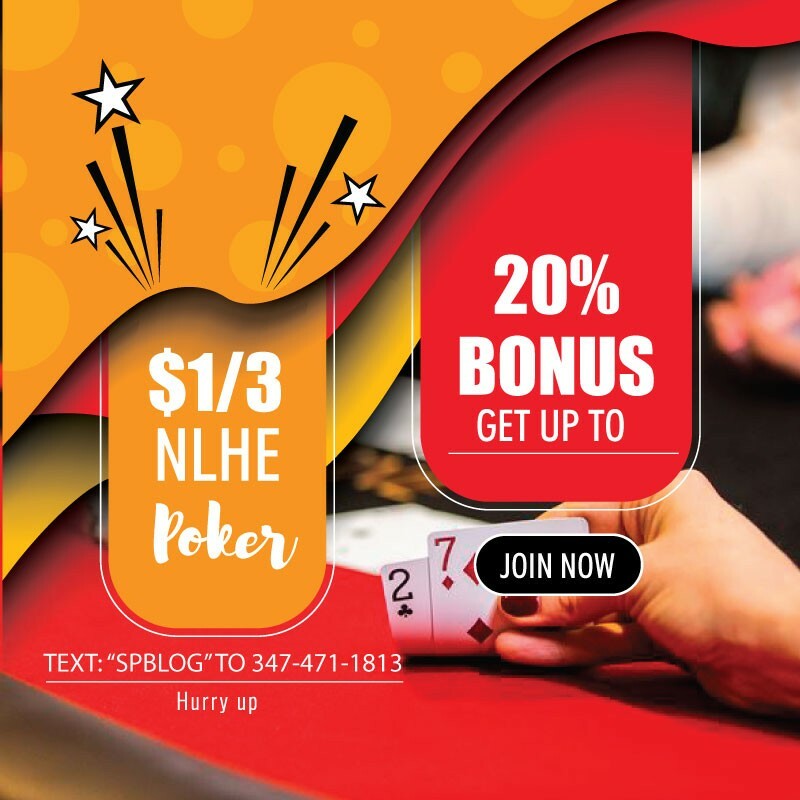 New Spin & Go’s aren’t the only attraction at PokerStars right now. The site is giving away €6,500 worth of €215 Day 1 tickets to its upcoming Sunday Million Live event at King’s Casino in Rozvadov. The tickets will given away by Team PokerStars Pro Online members Felix ‘xflixx’ Schneiders, Lex ‘L.Veldhuis’ Veldhuis, Fintan ‘easywithaces’ Hand and Ben ‘Spraggy’ Spragg over the next three weeks. Players can actually win the tickets in a variety of ways including competitions and straight-up giveaways across the Team Pros’ Twitter and Twitch accounts. A Day 1 ticket gives players a chance to qualify for the live Day 2 portion of the tournament which will take place in Rozvadov. To learn more or sign up for an account just head over to our PokerStars review.